The pate is gorgeous with fragrance of fresh rosemary and the pungent delight of fresh garlic with the tart accompaniment of cranberry. Showstopper. 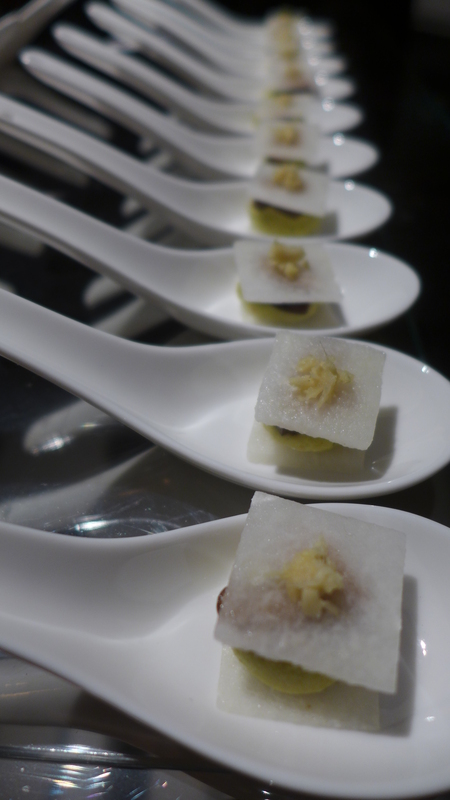 These canapés got lots of compliments which was great as I was a bit apprehensive about Taiwanese’s preference for cooked food over raw. The full bursting flavours in raw food always wins people over. 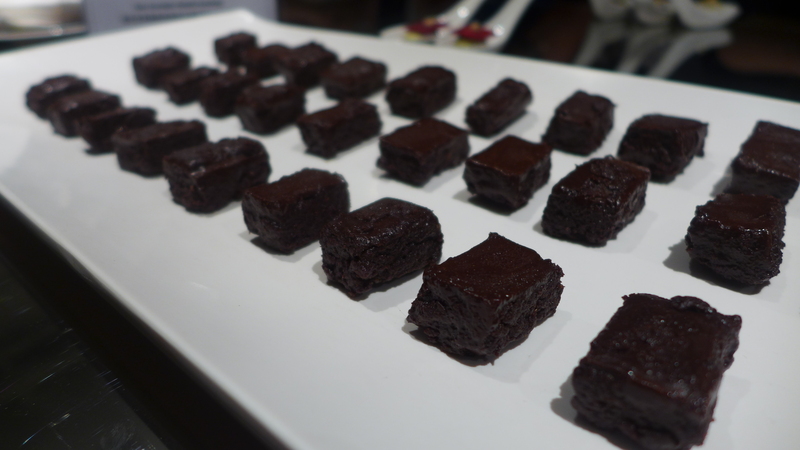 Finally, for something wickedly sweet but healthy, I made raw chocolate chipotle brownies. Inspired by Susan Powers of Rawmazing, these brownies are made with dates, figs, cacao and the smoky gorgeousness of chipotle. 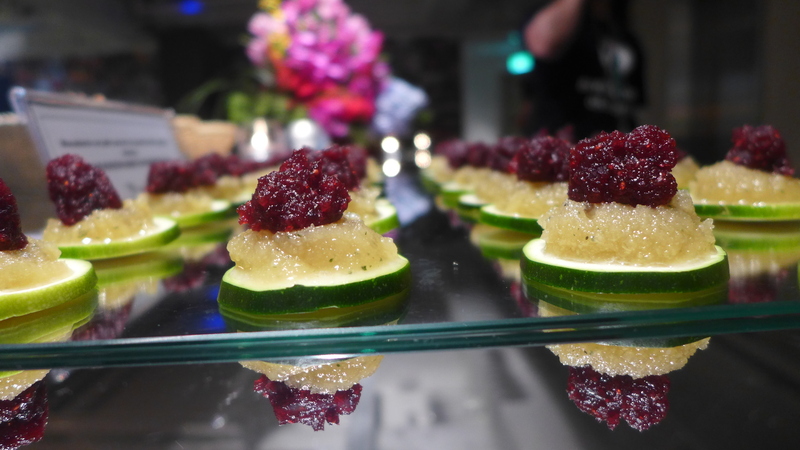 It is subtle but warming and as always, when guests taste raw desserts, the questions about raw food in general start pouring in! To accompany the food, local, women-run wine company, Wine Casa provided red and white Dormaine Auzias Cuvee Monsieur, with aromas of black berries and black currants. 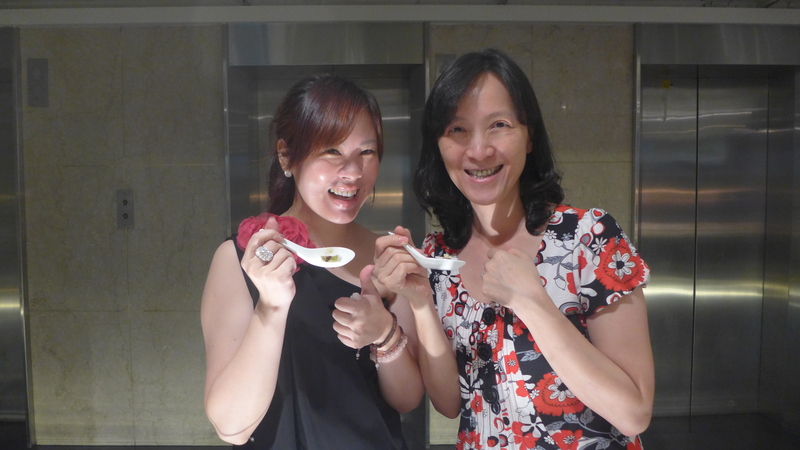 Betty Cheng from Pamir Law on the left, enjoying the jicama ravioli. More guests enjoying the ravioli. 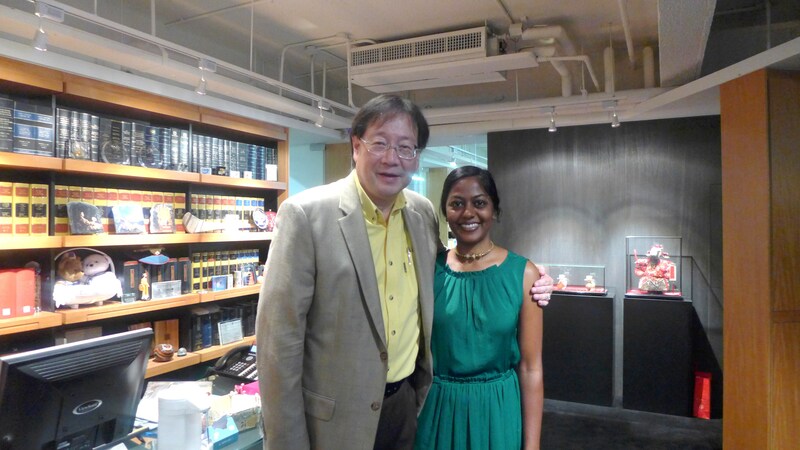 With Nicholas Chen, the man who made it all happen! 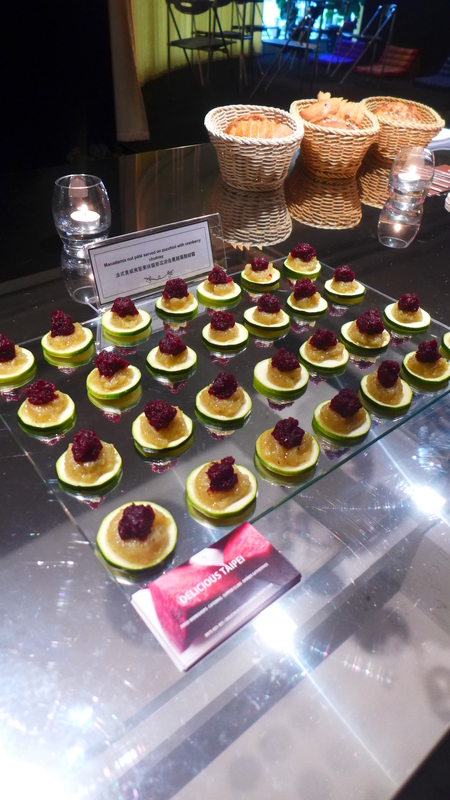 Thank you, Nic and Yale Club for a lovely opportunity to showcase gourmet raw food. 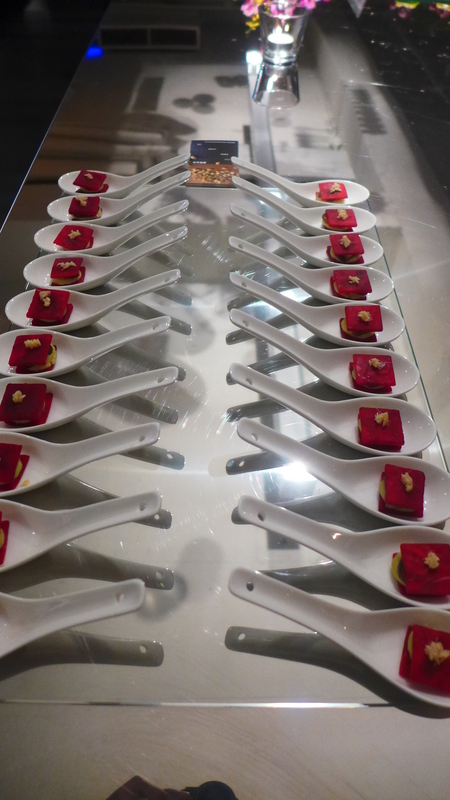 This entry was posted in Catering, General, Raw Food and tagged beets, brownies, canape, catering in Taipei, cocktail party, cranberry, food, jicama, macadamia nut pate, ravioli, raw brownies, raw chocolate, raw food in Taipei, Raw foodism, shiitake, Taipei, Yale Club of Taipei by Chef Prish. Bookmark the permalink. Wow, so poetic:-) I’m honoured. Thank you! I love your excursions into “gluttony” as well. Very Winter-warm decadent! Looks fantastic ! I’ve been on a 7 day raw juice retreat.its amazing the energy raw and natural food gives. 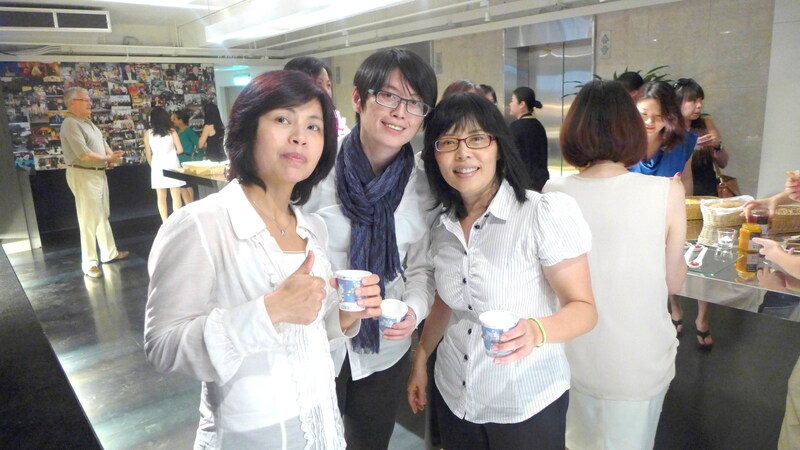 Can’t wait to come to Taipei and try your new receipes ! Looks Like such a lovely gathering and such delicious tasty healthy food. Wish I could have attended. 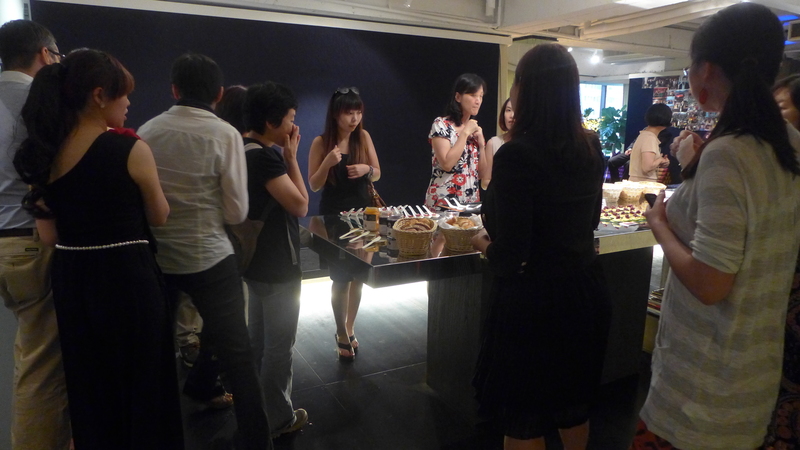 Next time I am in Taipei I hope you will have another tasting, I will be sure to attend! Whether or not I do, it will be my honour to cook for you. Thanks for visiting my blog.